I think if you are my regular reader then you may remember that after my transfer there is no new stuff of my penny share blog since last 3 months but now from 01.03.2011 we start regular update on this blog again with new updated rules of investing in penny share. So after these past experiences I decide to start updating my penny share with new rules of stock selection. There are 300-500 stocks on BSE who traded below 20 and called penny share. Most of them have less liquidity and continue traded in downtrend. 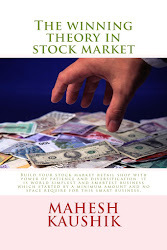 In light of this point now I decided to describe only high book value penny stocks every week on this blog, because I think book value most strongest criteria for investor because generally a stock touch his book value in range of 2-6 year, for example book value of unitech is 30 only and if you buy unitech @ 12000 (in 2006) then your stars is touch land (tare jamin par) in 2011 because now it is traded @35 only. And book value of IFCI is 58 in 2006 this share traded at 7 only so if you buy IFCI instead of unitech in 2006 then you get 800 % return in 2011 now IFCI price is 56. So in penny share blog every week we publish a high book value penny share below price 20 but do not be more excited and put all of your money in single penny stock because your holding period may be long from 1-6 year and penny share investing have high risk because some of penny shares may be delisted and bankrupt in future so investing only 2000 rupee in a penny share is a good idea because if you invest 2000 in a penny share every week ten your 1 year investment is 1 lacs and you have a good portfolio of 50 high book value penny stocks and also take profit booking regularly if a penny stock give more than 25 % return.